For the past month we’ve been talking about socializing your blog. One of the first places lawyers and professionals think to share their expertise is on LinkedIn. There’s a lot of value in that, but the value is far different than on Facebook, Twitter, or even Google+. The reason: LinkedIn is connected to you, the professional, not your business. LinkedIn was founded in 2003. (Check out their History of LinkedIn page. It’s beautiful.) It allows professionals and job seekers to upload resumes and enter details about their professional experiences. You can also get recommendations and endorsements from business connections, coworkers, and clients. But all of this is connected to the individual. You can create a company page but the focus of LinkedIn on each user’s web of connections. Because of this, the reason you share your content marketing needs is different. LinkedIn is less likely to generate hits from potential 1st tier consumer clients (though it can be useful for business to business marketing). What it does instead is educate your connections. As you share valuable tips and tricks for your industry you will become an expert in their eyes. Then when somebody comes to them looking for what you do, they will be more likely to refer to you. In that sense LinkedIn is less about advertising and more about educating. It is also a great resource to network with other professionals in your own field. You can join groups that are targeted at your industry. These provide great sounding boards for unique ideas and a quick place to find the answers to tricky problems. If your marketing strategy contains a heavy dose of face-to-face networking (such as chamber of commerce memberships), then LinkedIn is a great way to follow up on the connections you make. But it is not social media for the masses the same way Facebook, Twitter, and Google+ are. It can be a great way to drive readers to your blog, but it may be harder to measure your return on investment. As you continue socializing your blog, you may find yourself looking for other social media outlets beyond Facebook and Twitter. One option is Google+. It has some unique features that could make it just right for your business. You get most of your customers locally. This apparent disconnect comes from the history of Google+ and its features. Google is usually an innovator, producing new products you didn’t even know you needed, but it was late to the social media party. Google+ launched publicly in August 2011 (as opposed to Facebook in 2004). A vast majority of its early adopters were in technology fields like computer programming. 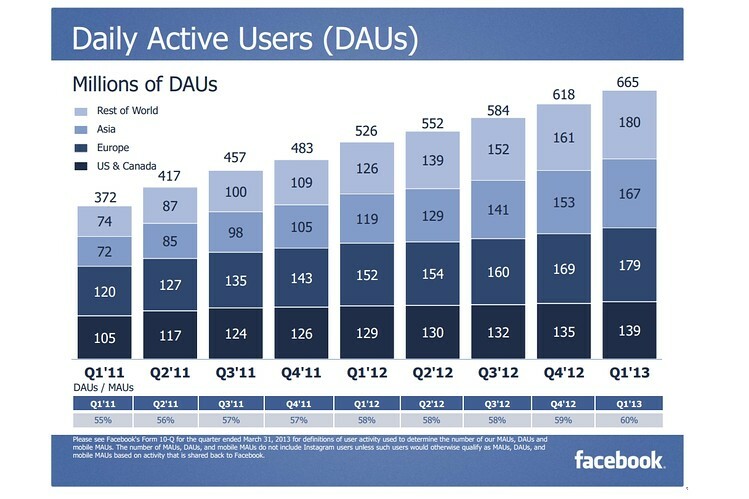 Casual users have been slower to make the shift from Facebook. This means that if your target audience works and plays on its computers, Google+ may be a good avenue for you. But if your ideal client is interested in finding new recipes or inspirational posts, there may be better ways to spend your social media time. So what about local customers? Google has strategically integrated Google+ into its host of other features – most importantly Google Maps. Any time someone searches Google for anything (like “lawyers”), Google generates a map of local results. Under each local entry there is a link directly to that company’s Google+ Page. So if most of your customers a looking for someone close by, having a robust Google+ presence can give potential clients first page access to your unique brand and message. The basic functions of Google+ are substantially the same as Facebook. You can add posts, upload pictures and videos, and ask people to follow you (called “+1”). But Google+ gives you two added benefits. Circles: You can choose to publish posts to different subsets of people like “Clients,” “Business Contacts” or “Close Friends”. This gives you more control over who sees your message. Testimonials: Google has made it easy for users to add reviews of businesses on their map feature. You can encourage clients to write glowing testimonials that will appear on your Google+ page and on Google Maps. The functions and features of Google+, especially its integration with the Google search engine, make it a good candidate for expanding your social media presence. Its active users may not compete with Facebook, but the easy access from Google’s main search brings your content marketing to potential clients quickly and easily. Now that you are socializing your blog and gathering followers, you know you need to reach out using Social Media. But maybe last week’s post on Facebook made everything feel too complicated. If you are just trying to reach people, and don’t want another site to manage, Twitter may be just your answer. The best way to think about Twitter is the ticker along the bottom of your favorite news station. While Twitter does have several interactive features, on its most basic level it allows you to make announcements of 140 characters or less to everyone who follows you. This makes it a great avenue for low-commitment social media interactions. First, set up your account. Each account has a unique username which could be your name (@JohnSmith), your firm’s name (@SmithLaw), or something unique that connects with your audience (@ChildrenFirst) (All examples are strictly made up, though they are likely all on Twitter). Choose an image to go with your username that is easily distinguished as yours and can be reduced down to less than an inch square on the screen. Now you can start tweeting (posting 140 character messages). You can also set up your blog to automatically send a tweet whenever a new article is published. The more often you post, the more contact you will have with your clients. Twitter allows you to be as active or as passive as you want. Gain followers by inviting clients and business contacts to follow you on Twitter, or by following others. Twitter automatically prompts those you follow to follow you, but you do not have to approve followers for them to receive notifications. The tweet would then be accessible to anyone searching for news on medical marijuana or probation. You could then add a link to a recent blog post about the ruling, which will drive readers to your website. Keep in mind, though, the URLs count in your 140 characters. If you are going to add a link, use a website like bitly to shorten your links and use fewer characters. Two downsides to Twitter are the limited number of characters and the lack of imagery. If your clients are attracted to pictures rather than text it may be difficult to get them to read your post in a line of 30 others. Images and even video are available, but your followers must click to view them. There are many more advanced elements of Twitter, but if you are looking for a simple way to publicize your blog, these steps may be enough. By using compelling tweets, you can encourage your readers to follow you and your blog and grow your professional reputation.